The Twin Cities Veg Fest is a free event offering you glimpse into all things plant based in our area and beyond. Vendors, speakers, cooking demos, a kids zone, and more! 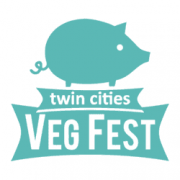 If you’re curious about veg-eating, interested in trying new products or just looking for a fun and free thing to do, this is an event for you!